I would like to thank Rhapsodio for providing the Eden in return for my honest opinion. Rhapsodio remains a special company to me, as I purchased my first top-tier custom from them, the Solar. Ever since, I’ve been talking to Sammy on and off. As many of his customers know, Sammy has a never-ending drive to tinker with new products, continuously experimenting with new designs for both iems and cables. While he offers several multi-BA and hybrid iems, Sammy has always considered himself first and foremost a dynamic driver specialist. And in search of his perfect sound, he’s been experimenting with different materials for the housings, as well as the drivers. For instance, his former flagship was the Galaxy, which used a titanium driver and ultramag technology, while eventually being offered with three(!) different types of housings. At the time, Sammy felt the Galaxy represented his perfect tuning: a highly detailed sound, even at low volume, finished with quality bass. But it also seemed to be the iem where Sammy and I parted ways when it comes to preference; as dearly as I loved the Solar, the Galaxy never clicked with me. It wasn’t so much the bright lower treble, but the thin midrange that failed to captivate me. So when Sammy professed his newfound love for the Eden, I didn’t get overly excited right away. But I was curious enough to give it a shot. Much like the Galaxy, Eden is a single dynamic driver, which uses a similarly sized housing as the Galaxy V1. Eden however has an aluminum driver. In addition, the housing is made from pure silver, which partially contributes to its rather upscale price of $2K. 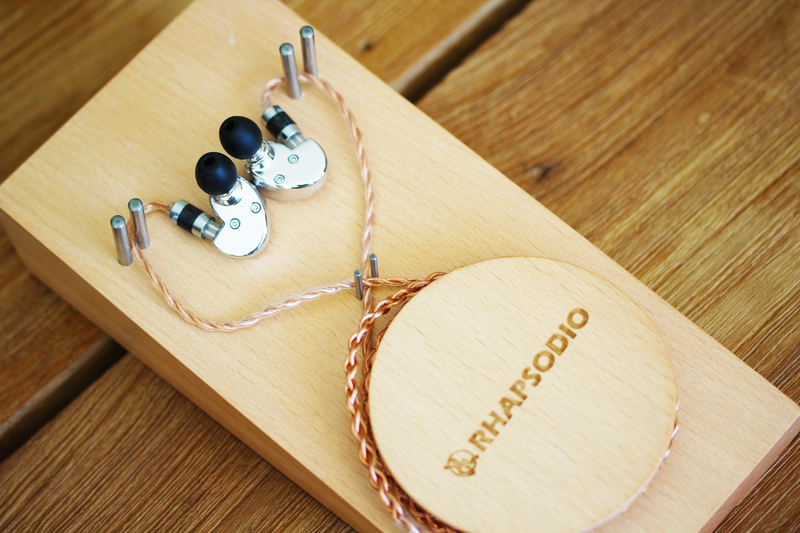 Furthermore, it comes with Rhapsodio’s own quality cable, the OCC mk. 2, which retails separately for $200. 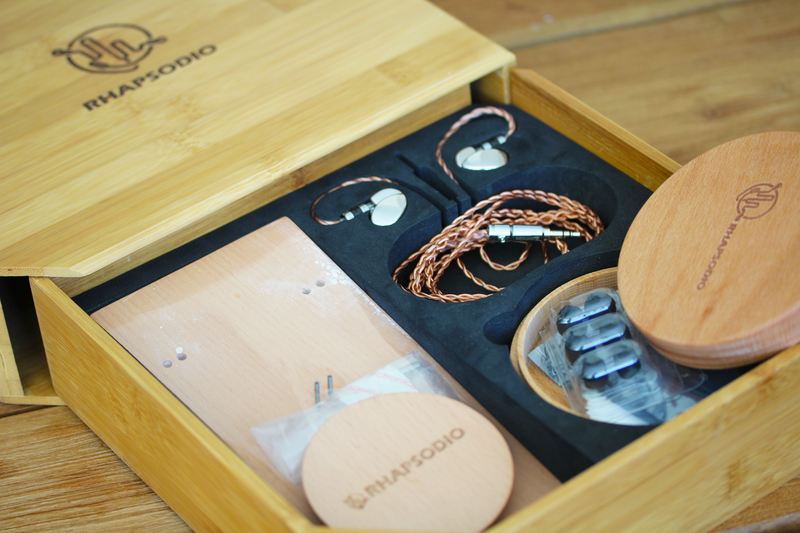 And finally, it’s delivered in a fancy wooden box, which holds the iem and carrying case firmly in position. Rhapsodio even goes so far as to include a wooden shrine of sorts to put the iem up on display. In the good ‘ol days Rhapsodio iems just came with a case and tips, so it’s nice to see that Sammy is putting effort in the premium feel of the package. In a distant way, the Eden bares some resemblance to the Galaxy. But it’s more in the general characteristic of the driver’s timbre, rather than it’s actual tonal balance. As a result there is a feeling of familiarity, even though there are important distinctions throughout their signature, resulting in different type of sound. For instance, Eden’s bass is pretty darn neutral, both in quantity and tone. It’s an agile bass with a quick enough decay, which more than anything, seems to be implemented to refrain from warming the tone – a functional bass, high enough in quality. Even so, it doesn’t provide a great deal of impact, so the bass-enthused will be left wanting – what Sammy himself describes as ‘reference bass’. 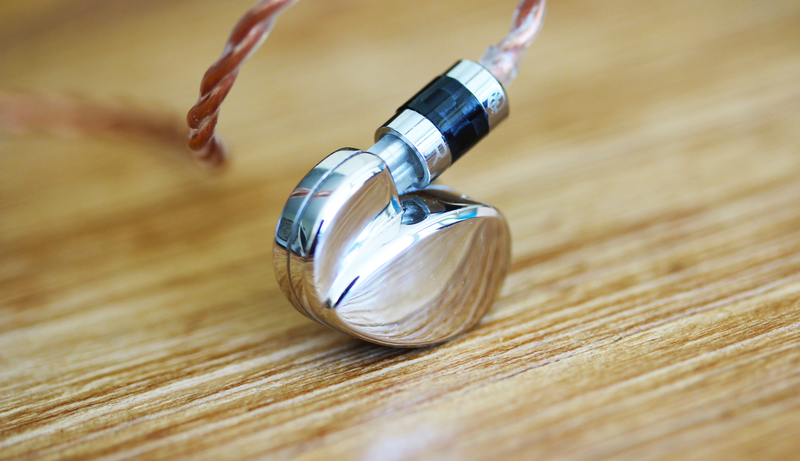 Commonly, manufacturers tend to tune in-ears with a slightly boosted mid-bass to compensate for the lack of viscerality from the bass, and fine-tune with different treble peaks to balance the sound. Accordingly, there are countless approximations of ‘neutral’ or ‘natural’ tunings. But by keeping Eden’s bass and treble both particularly linear, you are left with the sense of a rather uncolored sound; a more ‘pure’ sound, of sorts. It sounds clear, but in a completely non-bright way. And because it isn’t warm either, it’s not what I would traditionally associate with ‘natural’. But at the same time, instruments sound extremely realistic – just not in a romantic way. For instance, alternative options for natural-sounding iems as the Phantom, 5-Way, or Prelude, derive their naturalness from a warmth in the tone. But the warmth itself tends to be privy to preference, regardless if someone is looking for something relatively accurate. Eden in turn offers a different representation of timbral accuracy, that relies on neither warmth nor brightness. Violins sound clear, although they retain the slightest touch of warmth to sound natural, even though the warmth doesn’t dominate the tone. Similarly, a piano sounds articulate, while following through with the right weight and tonal balance to convey a complete sense of realism. For despite the Eden’s neutral bass quantity, its midrange has a satisfying note size to sound engaging. Rather than gaining a thickness from the bass, it’s tuned with a slight rise in its upper midrange throughout its treble. As a result, Eden has a neutral, yet sufficiently bodied rather than lean, midrange. Besides granting instruments with sufficient weight, Eden’s vocals have significantly improved over the Galaxy’s. Where the Galaxy had somewhat thin and laid-back vocals, the Eden’s are more neutrally placed. It’s not an extraordinarily powerful vocal presentation, but there’s equally not much to critique. They are sufficiently dense and bodied, while being smooth and free of sibilance. Western male vocals could be a bit warmer in tone to sound completely natural, but overall, Eden performs very well for both male and female vocals. Normally I’ll divert a fair amount of my attention to dissecting technical qualities as stage and separation, but Eden steers me towards more life-pondering questions as ‘what is truly uncolored or reference sound in the first place?’ It’s not because Eden doesn’t perform well; its stage dimensions are relatively average, but its separation and airiness is good enough due to its modest bass quantity, just like its resolution and transparency is fine based on the linearity of the signature, even though the top-end extension is not necessarily above average. It’s because there’s something truly unique about the Eden’s tonal balance, that forces you to re-evaluate what your conception of ‘accurate’ and ‘natural’ sound is in the first place. Even though there will always remain some debate to what these terms truly constitute, I feel fairly optimistic that Eden has the ability to transcend subjective opinion, to a more universally acclaimed version of tonally accurate. There simply seems to be a minimal amount of coloration, for good or for bad. Overall, Eden isn’t going to be crowd-pleaser, but it’s clear to sense the direction Sammy was going in, and more importantly, that he achieved what he intended to; there is a certain purity in its sound. At the same time, this tends to give it the feeling it lacks excitement or character – the flipside of a lack of coloration perhaps. Its midrange isn’t particularly forward, nor is its treble sparkly or energetic. And of course, this is a ‘neutral’ bass by all means. Eden simply isn’t design to impress; it’s designed to return the beauty in the music. And for acoustic and especially classical music, it has something truly special to offer.